When Albert Einstein proposed his theory of general relativity in 1916, one of his predictions was that light could be deflected by the mass of a nearby object. In 1919 Arthur Eddington took a trip to Principe and photographed stars during a total eclipse. The results confirmed Einstein’s theory. 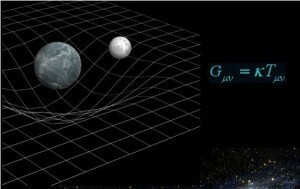 Einstein’s theory revolutionized our understanding of gravity. 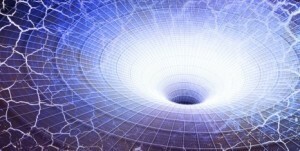 Rather than a force between masses, as Newton proposed, gravity is a warping of the very fabric of space and time. A mass warps space around it, and the motion of objects in that warped space give the appearance of a gravitational force. As bizarre as general relativity is, we’ve come to depend upon its effects for things like the gps in our phone, which needs to account for the warping of time to ensure we get to the right coffee shop. Eddington had to take advantage of a rare event in order to observe the deflection of starlight. The right alignment of an eclipsed sun was a fortunate event. Much more common are the alignment of galaxies with more distant galaxies (or compact objects such as quasars). If a closer galaxy lies in front of a more distant one, light from the more distant galaxy is deflected by the mass of the closer galaxy. As a result we can see a halo image of the distant galaxy, such as those seen in the image below. Taken by the Atacama Large Millimeter/sub-millimeter Array, they show the lensed galaxies in red. In recent years, detailed sky surveys provide the opportunity to find large numbers of lens galaxies. 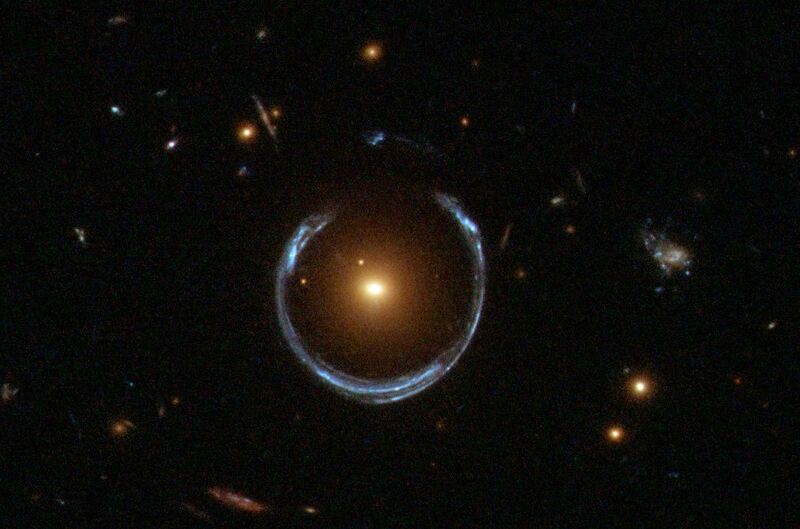 Unfortunately finding lens galaxies is not a task that is easily automated. Computers can do some of the filtering, but it really comes down to inspecting images by hand. Of course to do that in a meaningful way you need lots of people looking at lots of images, which is why there are websites like SpaceWarps. SpaceWarps is a website where anyone can comb through astronomical images, and with a little training start finding lensed galaxies. The site was developed by professional astronomers, and it serves a very real need in astronomical research. Large lensing surveys will allow astronomers to study the quantity and distribution of dark matter in our universe. For example, by looking at the relation between lensed galaxies and their distance cosmologists can determine whether the amount of dark matter changes over time, which in turn will help refine our understanding of the evolution of the universe. SpaceWarps allows everyone to contribute to real, cutting edge astronomy. You don’t need a degree, or even a telescope. All you need is some spare time and an interest in doing astronomy. There aren’t many scientific fields where professionals and amateurs can work together on scientific research. But in that regard, astronomy has always been a bit warped.